Ibom Power plant, a wholly Akwa Ibom State owned electricity generating firm located in the state’s oil-bearing Ikot Abasi, has seen recent impressive generating capacity, churning out 150 megawatts of electricity into the national power grid. But this sadly appears to be a wasted effort, it has emerged. It was discovered that less than half of the generated power is evacuated by the Transmission Company of Nigeria (TCN) and made available to the Port Harcourt Disco (PHED), which distributes electric power to the South-South states of Rivers, Akwa Ibom, Bayelsa and Cross River. Governor Udom Emmanuel attributed the sad development to poor evacuation infrastructure. “Over 150 megawatts of electricity is generated by the Ibom Independent Power Plant in Ikot Abasi, but has only been able to transmit a fraction (of the generated power) due to poor energy infrastructure,” the governor said in Uyo. He said a fraction of the power is consumed within the state. 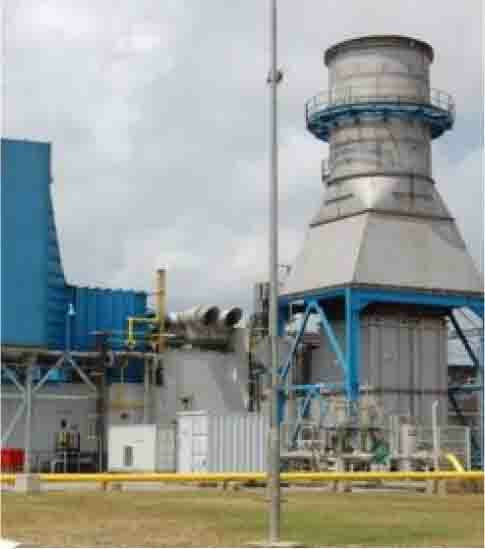 The Ibom power plant, a multi-billion-naira power generating firm was incorporated in January 2001 by the Corporate Affairs Commission (CAC) Nigeria, when Nigeria began its reform in the power sector. With headquarters in Uyo, the state capital, Ibom Power has its power plant in Ikot Abasi Local Government Area, where it currently operates its 191 MW plant. There are plans to expand generation to 500MW, though this would depend on heavy independent investors’ stake. Also, the Nigerian Electricity Regulatory Commission (NERC) gave the state the Meter Asset Provider (MAP) regulation, which empowers it to produce digital electricity meters. Governor Udom said the state has invested in the power sector to ensure that every citizen has access to electricity by ensuring that digital meters which are now produced in the state, are installed in every home for proper billings.